It is usually said ‘Health is the biggest wealth’. Everyone desires a healthy mouth and good dental hygiene. Fresh breath, strong teeth and healthy gums are the characteristics of a good oral hygiene. Maintaining a good oral hygiene also eliminates the risk of tooth decays and gum diseases. We, as a team, help you find the best dentists in Quincy, a city in Norfolk County, Massachusetts, United States. One can avoid dental problems to a great extent by taking proper care of the teeth. But, dental problems can be very painful and frustrating at times and may require immediate care and treatment. This makes it really important for a dentist to be available in your area 24×7 in case of emergencies. Thus, we made a list of some of the best emergency dental care services and dentists in your area. It doesn’t matter why you need to get a 24 hour dentist. Parents are often worried about the first set of teeth or baby teeth which their babies develop until they are naturally lost. Children need to be taught how to chew properly, maintain good nutrition, and develop proper speech as all of these help develop even spacing when the permanent teeth erupt. Parents should take their children to dentist right from early childhood and encourage proper interaction between the dentist and the child so that early oral examination and detection of decay in the initial stages can prevent the child and the parents from facing bigger problems later on. A program of preventive home care remedies has been designed which should be followed by all parents to teach their children healthy habits at home. Special attention All parents should keep the above mentioned factors in mind and take care of their baby’s teeth from the very beginning. As we all know after all, prevention is better than cure. 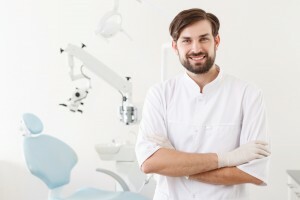 Description Call our Quincy referral service Emergency Dentists USA phone number and get connected to an emergency dentist in Quincy, MA in seconds! We provide a service that will get you to the dentist that fastest and easiest way possible, you can call us 24 hours a day, 7 days a week and its 100% free! Dentist: Dr. A Srinivasan, DMD; Dr. S Roohi, DMD; Dr. S Gegamian, DMD; and Dr. Lee, DMD. Address: Next to 99 Restaurant, 45 Newport Avenue, Quincy, MA 02171. Aspen Dental offers one of the best dental services in Quincy, MA. The dental clinic is equipped with modern devices, latest technology and qualified doctors. Different types of dental services like tooth cleaning and whitening, crown and bridge work, dental fillings and denture replacements etc. are available at the best price. Facilities for advanced treatment like digital radiography, advanced screening for oral cancer, oral surgeries etc. are also available in the clinic. Dentist: Dr. Shaban, BDS, MS, PHD, DMD. Address: 67 Coddington Street, Suite LL1, Quincy, MA 02169. Quincy High Care Dentistry is famous for offering high quality dental services to its patients. Facilities for numerous dental procedures like dental cleaning and whitening, composite fillings, dentures and root canal treatment etc. is available. One can plan and book the appointments online and at the same time avail attractive discounts. Dentist: Dr. MaryAnne Thomas, Dr. Cindy Kang, Dr. Justin Raanan and Dr. Thomas Unger. Address: 875 Southern Artery, Quincy, MA 02169. Quincy Dental provides one of the best dental care services in Quincy, MA. The skilled doctors with help of latest technology and machinery provide its patients with the highest quality of dental treatment. It is a one place solution for all kinds of dentistry services like general, restorative, cosmetic and family dentistry. Pediatric Dentistry, endodontics and periodontics etc. are some of the other services offered by the clinic. Quincy has a lot of quality dental care facilities to help the people in case of emergencies. Having a proper dental insurance plan can help you save a lot of bucks. Carry all your necessary documents and papers to claim your insurance and other medical benefits. It is generally advised to book an appointment beforehand to avoid any kind of inconvenience. Even though all dental care facilities offer flexible payment options, still make sure you carry necessary cash and card with you. Also, have a driver to drive you back home in case of severe dental treatments. It is generally advised to have a look at the doctor’s profile before you make any decision to visit a dentist. The profile is readily available in the company’s website. Public ratings and reviews about dentists should also be considered before visiting any dentist. A background check through the local dental website can further help you in choosing the right walk in urgent care dentist. 1. Dental implants integrate with the jaw bones. The bone is better preserved. But with a bridge, the bone which previously surrounded bones may deteriorate. 2. Implants act as an artificial root for a false tooth or a crown. Single tooth implants looks and functions like a natural tooth. It is easier to clean unlike dentures which have to be taken out to be cleaned and looks unnatural if they do not blend with the patient’s gums. 3. There is no risk of the tooth becoming loose or falling down. Single tooth implant is near permanent solution. It may last for more than 10-15 years. Dental bridges on the on the hand are less durable. It may be required to replace them after every 3-6 years.